‘A thing of beauty is a joy forever’ said John Keats. Flowers not only gives happiness and joy to the senses, but also health to the body. What most of us are unaware of, is that they give to our health in many ways. It is an evergreen plant which is about 5-9 ft in height. It has strong branches and trunk. The leaves are dark green, shiny, smooth and oval-shaped. This plant does not bear any fruit; the flowers are found in different shades; out of which white and red ones are much beneficial. Ayurveda believes to cure the ailment using natural substances; these are much efficient, free from side-effects and affordable. Hibiscus flowers are rich in Iron, phosphorus, calcium, riboflavin, thiamine, niacin etc. It also has Vitamin C and carotene in small amounts. Good for Alopecia – For the treatment, take 6-8 leaves of hibiscus and grind it. Apply it on head and scalp; leave for 3 hours and wash with lukewarm water. Repeat this twice a week. It provides nourishment to the scalp and helps in hair growth. Shiny Hair — Mix equal quantities of flower’s juice with olive oil. Cook in fire till only oil is left. Store it in a bottle and apply on the roots twice or thrice a week. This ensures you with shiny, gorgeous, beautiful and healthier hairs. This is the reason most of the hair products has the extract of hibiscus in it! 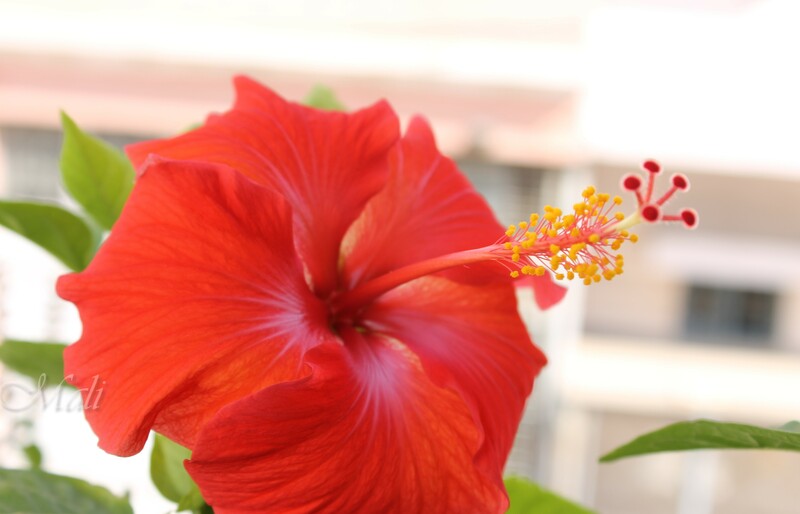 Remedy for Anemia — Take 20-50 buds of Hibiscus flowers and sundry it. Grind it and store it in an air-tight container. Give 1 teaspoon of dried powder with a cup of milk every morning and evening. Within few months, the blood level will be raised making you active, physically youthful and increased with stamina. Enhance memory power — Take 10 leaves and 10 flowers of hibiscus; dry them and the grind into powder and store in a container. Give 1 teaspoon of powder with sweet milk; twice a day. Swelling and Inflammation – Hibiscus heals a lot for swollen parts and other types of skin sensations like itching, burning etc. Make a paste of tender and fresh hibiscus leaves grind with water; Apply the paste on swollen areas. It gives relief in few minutes. Boost Immunity — One of the main health benefits of hibiscus flower is that it helps to boost the level of immunity in your body. Maintains Fluid Balance– According to ancient Ayurvedic science, having hibiscus flower extracts can help to keep up the fluid balance in your body. It was once used as a cure for oedema or excess water retention in the body. Speeds up metabolism– Vitamin C have a very essential place in the digestive system. And as hibiscus is rich in Vitamin C, it helps to increase the rate of metabolism. Lowers Levels of Cholesterol – The antioxidants in hibiscus are very similar to those found in red wine. It is heart healthy as it helps to lower cholesterol levels. Maintains Body Temperature — According to ancient African medicine, having hibiscus flower extracts regulates the body temperature. It helps to flush out excess body heat in summers. Darkens Hair Colour — The hibiscus essence oil can actually help you darken your hair colour. In fact, it is natural remedy against greying hair. Cures Acne — Hibiscus has many natural anti-inflammatory substances and Vitamin C that can stop the growth of acne and even clear the marks left by it. Slows Ageing — The antioxidants in hibiscus not only help to fight cancer but also slow down the ageing of your cells. As a result, it may be the secret to eternal youth. Calms Hot Flashes — Women who are going through the tough hormonal period of menopause might use the health benefits of hibiscus. Hibiscus can help soothe hot flashes. Boosts Energy — As the antioxidants in hibiscus help to repair free radical damage, your energy levels naturally go up. Cures Cold – Hibiscus is rich in Vitamin C and thus it has the capacity to cure minor cold related infections like sore throat, cough and headache. It was worth reading it I was never aware of so many benefits of hibiscus and I will try few of them It was very helpful.Great work Thank you!! !